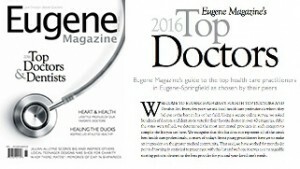 Chiropractic sports physician Dr. Michael Herb and the team at Absolute Wellness Center in Eugene welcome you to our website and office! Absolute Wellness Center offers sports medicine, chiropractic medicine, physical rehabilitation, pain management, acupuncture, and therapeutic massage. We provide only the highest quality of patient care and our focus is on empowering our patients in their healing process so they are up and running with fewer visits and greater confidence. We believe that you are the most important person in our clinic—so instead of just trying to relieve surface symptoms, we work to discover the underlying reason for the symptom and treat it at its root. 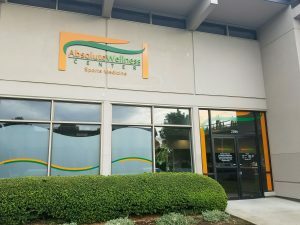 From spinal adjustments and physical therapy, to sports medicine and accident recovery, to massage therapy and acupuncture, you can find what you need at Absolute Wellness Center. We also offer spinal decompression, cryotherapy, electrical muscle stimulation, interferential stimulation, microcurrent therapy, ultrasound, nutrition and weight loss counseling. We accept most major insurance plans, including auto and workers compensation insurance, and we are happy to work with those on a limited budget to tailor treatment plans that keep costs down by teaching how to do more rehabilitation and healing independently at home. We don’t do standard treatment plans. We encourage our patients to speak up about what they are feeling, what they need, and what is or isn’t helping, so we can continue to tailor the healing experience to what our patients need. Our providers are recognized as top in their field 2013 – 2019 in sports medicine, chiropractic medicine, physical medicine, and acupuncture. We are happy to refer out to other professionals in the area if their care is more appropriate for your ailment, and we regularly do so. Please see our page in “Getting to Know Dr. Herb” for more information on our clinical director’s background and philosophy, but for now you can be sure that he has trained extensively in the science of chiropractic medicine and sports medicine. Both he and our chiropractic physician Dr. Brandon Beckerman have an incredibly gentle and precise technique so they are great for patients new to chiropractic, or those who have had a bad experience in the past. 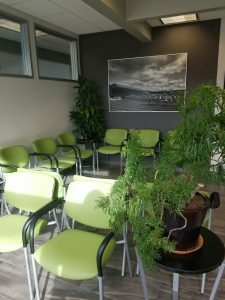 The variety of services and techniques available at Absolute Wellness Center provide our physicians with the equipment and excellent team of therapists to design customized treatment plans for each patient based on their individual needs, insurance coverage, and preferences. If you would like to learn more or schedule an appointment, just give us a call at 541-484-5777. Call us today at 541-484-5777!